IAN GOLD, Ph.D. holds the Canada Research Chair in Philosophy & Psychiatry at McGill University, one of a prestigious group of chairs endowed by the Canadian government in 2000. Born in Montreal, he earned a B.A. and M.A. in Philosophy from McGill University and a Ph.D. in Philosophy from Princeton University. He then completed graduate work in neuroscience at the Center for Molecular and Behavioral Neuroscience at Rutgers University and postdoctoral research at the Optical Sciences Centre of the Australian National University in Canberra. Between 2000 and 2005 he was on faculty in the School of Philosophy and Bioethics at Monash University in Melbourne. He returned to McGill in 2006 and is cross-appointed in the Department of Philosophy and the Department of Psychiatry. 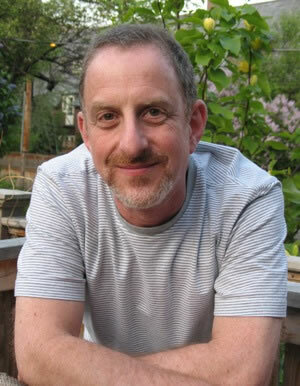 Ian’s research lies at the crossroads of philosophy, neuroscience, and psychiatry, and he is recognized internationally as among the most distinguished researchers in the new discipline of “neurophilosophy.” He is the recipient of more than $4 million in research grants and awards, and is the author of numerous research articles on the mind published in such peer-reviewed journals as Behavioral and Brain Sciences, Mind and Language, Consciousness and Cognition, The Canadian Journal of Psychiatry, World Psychiatry, Transcultural Psychiatry, Philosophy, Psychiatry, & Psychology, and Cognitive Neuropsychiatry.